One of the largest threats to bees is the lack of habitat due to urban sprawl. If you notice a lack of green space in your neighborhood, you can volunteer to plant a bee garden or create a habitat corridor with nectar-rich plants such as wildflowers. You don’t need a ton of space to help save the bees- gardens can be established in small spaces like balconies or street corners, and flowers can be planted along roadways and other public areas. You can also get involved with your local government to advocate sensible limits to development where you live. Synthetic pesticides, fertilizers, and herbicides are harmful to bees. Using these pesticides in your garden can not only keep bees away, but also endanger their lives. If you must treat your garden, opt for organic pesticide options and spray at night when pollinators are least active. Or use beneficial insects such as praying mantises and ladybugs in your garden. Avoid chemicals belonging to the neonicotinoid family at all costs, as they are especially harmful to bees. Make sure you’ll have blooms for bees year round. Bees aren’t only just interested in perennials! In fact, did you know that bees get most of their nectar from trees? When a tree blooms, it provides bees with hundreds if not thousands of blossoms to feed from. Trees are not only a great food source for bees but they are also essential to a bees habitat. Tree leaves and resin provide nesting material for bees, while their natural wood cavities make excellent shelters. With deforestation and development on the rise, you can help bolster bee habitats by caring for trees and joining tree-planting parties in your area. A fun activity that can also help save the bees is creating a bee bath. Fill a shallow bird bath or a small dish or bowl with clean water, and arrange pebbles and stones inside so that they poke out of the water. Bees will land on the stones and pebbles to drink the water as they take a break from foraging and pollinating. Build homes for solitary and bumble bees. Did you know that, with the exception of honeybees, most bees are solitary creatures? 70% of bees live underground, while 30% live in holes inside of trees or hollow stems. Since many solitary and bumble bees build their nests in undisturbed land, why not keep an untouched plot of land for them in your garden? “Bee condos” allow solitary bees like mason bees to take up residence and pollinate your garden, and are widely available for sale online. You can also learn how to build your own bee condo and create a better space for solitary bees. A great way to save the bees is by providing them a place to live! You can directly impact the health of your local ecosystem by starting a honeybee hive. Having your own beehive can help you learn about bee biology, bee ecosystems, and improve the environment around you. Plus, you get the added benefits of bee products such as raw honey and beeswax, as well as the satisfaction and joy derived from working with a hive. Contact your local beekeeping club for more information. If you’re not quite ready for a hive of your own, you can help save the bees by supporting a beekeeper in your area. These keepers work hard to nurture their bees and better the local community for bees and humans alike. The easiest way to do this is to buy locally-made honey and beeswax products. Many beekeepers use products from their hives to create soaps, lotions, and beeswax candles. Plus, local honey is not only delicious- it may be made by bees that visited plants in your own backyard! You can also contact your local beekeeping societies to see what kind of volunteer support or donations they might need. If you can’t start your own hive, or would like to help increase the number of hives across the country, why not help fund new hive installations? The Honeybee Conservancy is working to install stocked honeybee hives and solitary bee homes in communities across the United States. By sponsoring a hive, you aren’t only helping to save the bees, but to improve communities across the country. Beehives provide training and learning opportunities for both young and old, and the bees can help establish a better environment by pollinating plants and creating honey that can be sold for profit. Visit our “Sponsor a Hive” page for more on current Honeybee Conservancy hives and information on how to get started as a sponsor. You can do your part to save the bees on your own, but just like a colony of honeybees, making real change takes strength in numbers! Educate your friends, family, and community on how to help bees by becoming a bee ambassador. Current bee ambassadors engage others by asking for bee-benefitting donations in lieu of birthday gifts, and selling muffins door to door. Get creative with ways to raise funds and get the buzz out on saving bees! 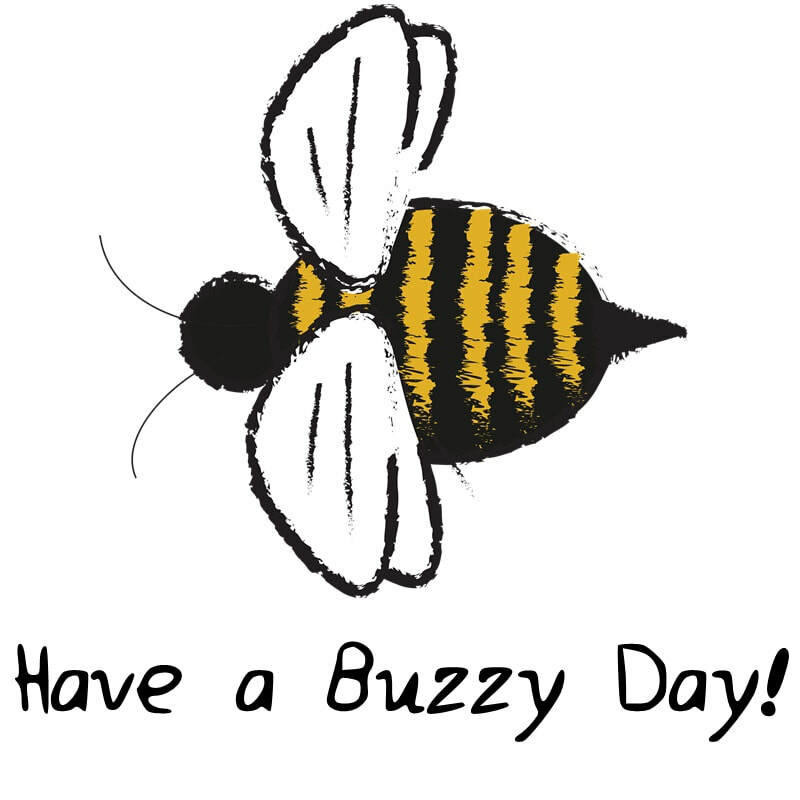 Made a Fun Bee Image Enjoy! Then put to every Gallon of water, one pound of the best Blew-raisins of the Sun, first clean picked from the stalks, and clean washed. Let them remain in the boiling Liquor, till they be throughly swollen and soft; Then take them out, and put them into a Hair-bag, and strain all the juice and pulp and substance from them in an Apothecaries Press; which put back into your liquor, and let it boil, till it be consumed just to the notch you took at first, for the measure of your water alone. Then let your Liquor run through a Hair-strainer into an empty Woodden-fat, which must stand endwise, with the head of the upper-end out; and there let it remain till the next day, that the liquor be quite cold. Then Tun it up into a good Barrel, not filled quite full, but within three or four fingers breadth; (where Sack hath been, is the best) and let the bung remain open for six weeks with a double bolter-cloth lying upon it, to keep out any foulness from falling in. Then stop it up close, and drink not of it till after nine months. This Meathe is singularly good for a Consumption, Stone, Gravel, Weak-sight, and many more things. A Chief Burgomaster of Antwerpe, used for many years to drink no other drink but this; at Meals and all times, even for pledging of healths. And though He were an old man, he was of an extraordinary vigor every way, and had every year a Child, had always a great appetite, and good digestion; and yet was not fat." Simplified this is mead made very much like today yeast is found in the “sack’ barrel and raisins. Standard for boiling water is very different then today the smallest bubbles where a boil. I am going to use this theory and try the recipe. Mix the honey and water together in a stockpot beforehand on medium-low heat to ensure the honey fully dissolves. Or, warm the honey container in the sun or but setting it in a pot of warm water beforehand. Next, mix the honey and water together thoroughly in your open-mouthed container, stirring with your stir stick to fully dissolve the honey. Drop in raisins and other botanicals / fruits. Add one teaspoon of lemon juice, or squeeze a bit from a whole lemon or orange. Next, place the vessel in a warm, dark corner (about 70 degrees F / 21 C with no direct sunlight is ideal) and cover with a cloth, keeping the stir stick in or laying it carefully across the top of the vessel. You will want to return to the vessel at least three times daily to give the must (unfermented mead) a vigorous stir for 2-3 minutes at a time. This will incorporate any yeast that has dropped in from the air or is on the ingredients into the overall liquid. It also provides aeration, which is important for a strong fermentation. Ancient cultures such as the Vikings would have saw this as a mystical process. Some would meditate quietly, sing, chant, or invoke their preferred god(s); while others would yell, dance, and bang on things loudly. The goal was to wake up the bryggjemann or “brewing spirits.” Give it a try – come up with your own ritual. In about five days (sometimes longer in the winter), you’ll give it a stir and will be greeted by a fizzy, foamy head on what is now officially mead. You can have a quicker fermentation (1-2 days) by adding a packet (5 g) of commercial yeast once you’ve added all of the other ingredients. However, the aeration is still important, so you should still keep it in an open vessel and stir a couple of times a day. At this point you have a mead starter, which you can then use in place of packaged yeast to start a new mead. I am not going to do open air I am going to use a Air lock and see how it goes wish me luck! 1. MEAD EXISTS IN ITS OWN DISTINCT CATEGORY, LIKE CIDER.Mead is fermented with three basic ingredients: honey, yeast and water. It isn’t classified as beer or wine in the typical sense, but stands apart in its own rank of alcoholic beverage. You might hear mead referred to as honey wine. Not quite. Mead is created by fermenting honey, while wine is made from fermented fruit. And though mead is often flavored with various fruits, that does not make it wine. 2. IT’S QUITE POSSIBLY THE OLDEST ALCOHOLIC BEVERAGE ON EARTH.Chinese pottery vessels dating from 7000 B.C. suggest evidence of mead fermentation that out-ages both wine and beer. The very first batch of mead was probably a chance discovery: Early foragers likely drank the contents of a rainwater-flooded beehive that had fermented naturally with the help of airborne yeast. Once knowledge of mead production was in place, the sweet beverage became globally gulpable, popular with Vikings, Mayans, Egyptians, Greeks and Romans alike. Mead was considered a powerful ambrosia by ancient Greeks. Image: Bedore Tours3. THE GOLDEN ELIXIR WAS CONSIDERED THE DRINK OF THE GODS.Referred to as “nectar of the gods” by ancient Greeks, mead was believed to be dew sent from the heavens and collected by bees. Many European cultures considered bees to be the gods’ messengers, and mead was thus associated with immortality and other magical powers, such as Olympus-level strength and wit. For this reason, mead continued to factor heavily in Greek ceremonies even after its eventual decline in drinking popularity. 4. UNDER THE WEATHER? TAKE A GLASS OF MEAD.No need for a mead prescription these days, but certain kinds made with herbs or spices were used medicinally in early England. Infusing herbs into a sweet mead made them more agreeable, and different varieties were thought to improve digestion, help with depression and alleviate good old-fashioned hypochondria. These types of spiced, herbal meads are called metheglin, derived from the Welsh word for medicine. 5. MEAD’S FLAVOR VARIES GREATLY DEPENDING ON HONEY TYPE.A single honeybee produces a meager twelfth of a teaspoon of honey per day. Because most meads require up to two gallons of the sweet stuff, every drop is precious. The honey used determines the overarching flavor of the mead, and can vary according to a honey bee’s particular diet of nectar and pollen. Traditional mead often uses a mild honey such as orange blossom, clover or acacia, but wildflower, blackberry and buckwheat honeys produce great results with sturdier, spiced meads. Explore every branch of the mead family tree, including melomel and cyser. Image: Desert Living Today6. MEAD IS INCREDIBLY DIVERSE.Sweet, dry, still or sparkling—all describe varieties of mead. But amble up the mead family tree a bit further and you’ll meet some of the more eccentric relatives. You already know metheglin, but don’t forget melomel, a mead that contains juice or fruit like blackberries and raspberries. Then there’s cyser, an apple-based mead; acerglyn, made with maple syrup; braggot, a mead/beer blend brewed with hops or barley; rhodomel, a very old style laced with roses—and legions more. 7. YOU’LL FIND FREQUENT MEAD REFERENCES IN CLASSIC LITERATURE.The best part of Chaucer’s Canterbury Tales? When the mead starts flowing. In The Miller’s Tale, mead is described as the draught of townfolk and used to court a fair lady. Chaucer also makes mention of spiking his claret with honey—clearly he had a sweet tooth. Mead made its mark on other fictional worlds too. A little epic poem called Beowulf features public mead halls front and center: The boisterous mead hall called Heorot is attacked by the monster Grendel, which motivates Beowulf to battle. Even J.R.R. Tolkien got down with mead mania in Middle-earth. He too referenced a mead hall as Rohan’s great gathering place and house of the king. Sumptuously decorated with a straw roof that appeared to shine like gold from a distance, the mead hall was a space of great importance and power. Even Queen Elizabeth has a favorite mead recipe. Image: Organic Authority8. MEAD IS A PREFERRED DRINK OF ROYALTY.Queen Elizabeth has been known to throw back a golden goblet or two and even maintains a favorite mead recipe made with rosemary, thyme, bay leaves and sweet briar. And King Midas with his golden touch? His tomb was discovered in Turkey and revealed the remains of the king’s funeral feast. Guess what was found in the ancient drinking cups: sweet mead residue. Mead is also believed to have been the choice beverage of Queen Sheba and King Solomon. T’ej is a type of bittersweet Ethiopian mead that can be traced to the fourth century and is still a popular drink in the region. If it ain’t broke, keep drinking it. 9. YOU CAN THANK MEAD FOR YOUR HONEYMOON.Stop slurping oysters: Sweet mead is the original aphrodisiac. The origin of “honeymoon” harks back to the medieval tradition of drinking honey wine for a full moon cycle after a new marriage. All that golden essence would supposedly ensure a fruitful union bearing plenty of children. This mead-based insurance policy was taken so seriously that a bride’s father included a month’s worth of mead in her dowry. Drink like a king at home with a DIY mead-making kit. Image: Hi Consumption10. CRAFT MEAD IS ON THE RISE.Mead isn’t just the drink of Greek gods and mummified kings. There are now almost 250 meaderies in America, and the resurgence of this radiant juice seems assured, due to continued interest in craft brewing and distilling. A couple promising signs: Local mead festivals are cropping up around the country to pay tribute to the ancient quaff, and chef René Redzepi of Noma—rated the best restaurant in the world—has revived industry interest in mead by using it in his dishes. Now the 11th thing from me. I Love mead it's great and I see how the production of it has influence mankind for a long time. The left over yeast can be use to make bread and I am sure it was. I myself tested this out and it's great you can't tell any difference the using regular yeast. After my next batch of mead is done I will be making bread and I will try my best to make a how to and share it here. The only downfall to mead I see is that it's very high in calorie so it's not a fit option in any way (drinking is not fit anyways.) I found it has about 300 calories per 8 oz :( Denis and myself combat this by making a very high in alcohol version more like a liquor. I have to mix it with ice and soda. Denis sips it like wine. Follow our Mead and Bee Log above to learn with us. Follow our adventures as we make mead and raise honey bees!